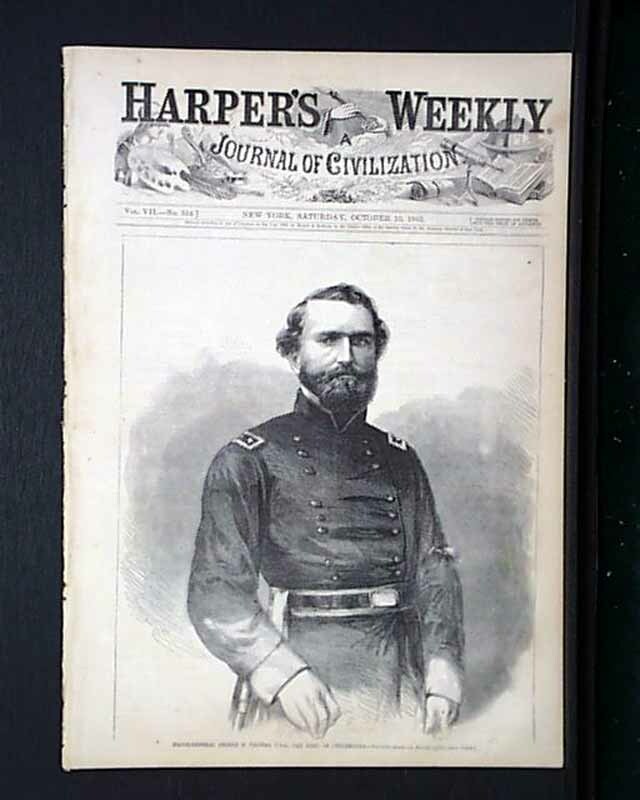 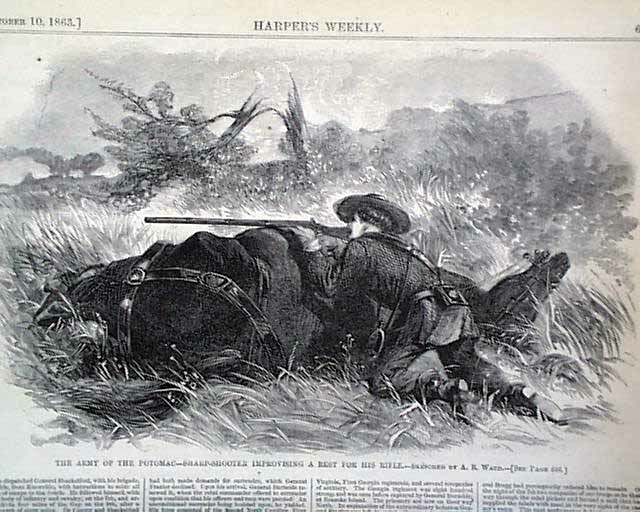 HARPER'S WEEKLY, New York, October 10, 1863 The full front page is a nice portrait of: "Major-General George H. Thomas, the Hero of Chickamauga". 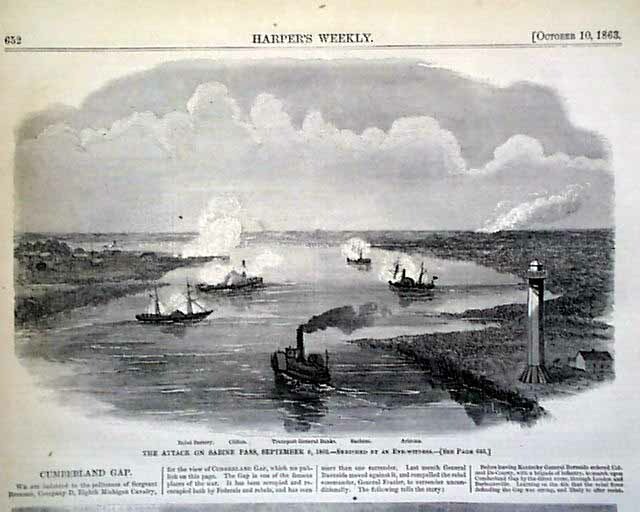 Inside has a full page: "The Siege of Charleston--the New Black Island Batteries, Four and a Half Miles from Charleston". 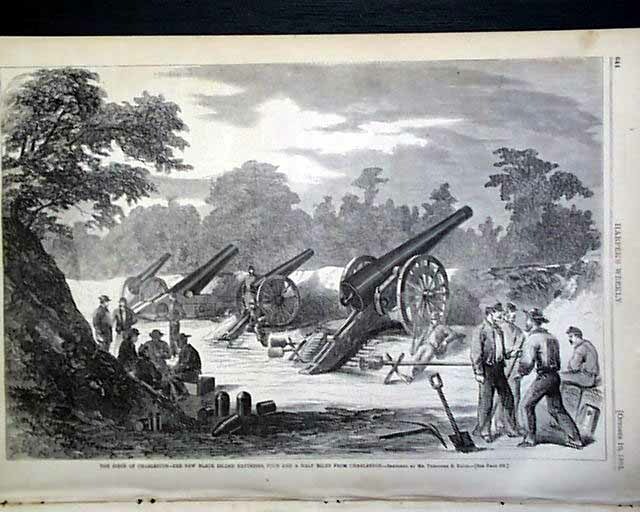 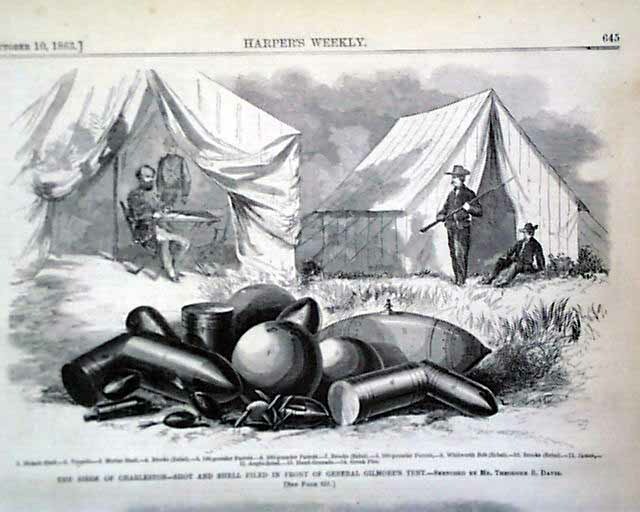 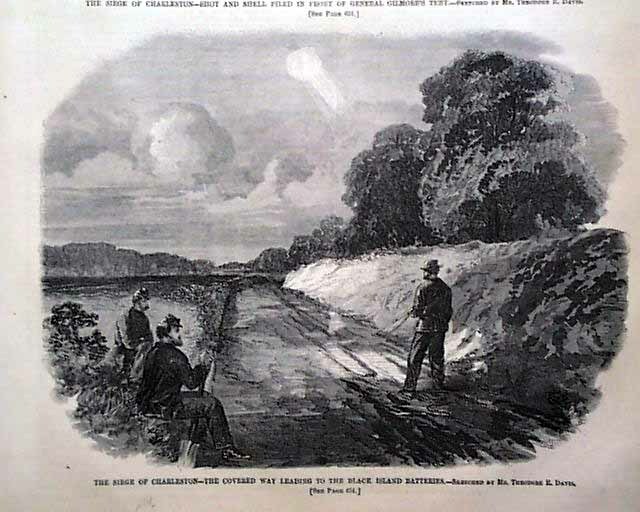 Another full page has 2 prints: "...Shot & Shell Piled in Front of General Gilmore's Tent" & "...The Covered Way Leading to the Black Island Batteries"
The dramatic doublepage centerfold shows the: "Grand Review of the Army of the Potomac", is by famed artist Thomas Nast and shows thousands of soldiers. 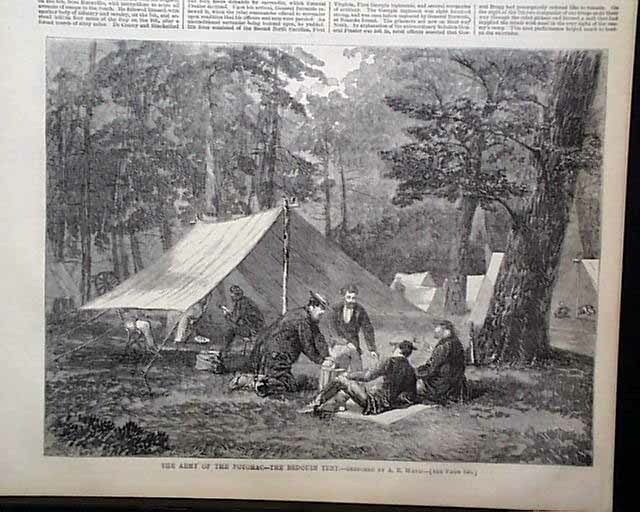 Other prints within include: "The Attack on Sabine Pass, September 8, 1863" "General Burnside's Army Occupying Cumberland Gap" "The Army of the Potomac--Sharpshooters Improvising a Rest for His Rifle" and "The Army of the Potomac--The Bedouin Tent". 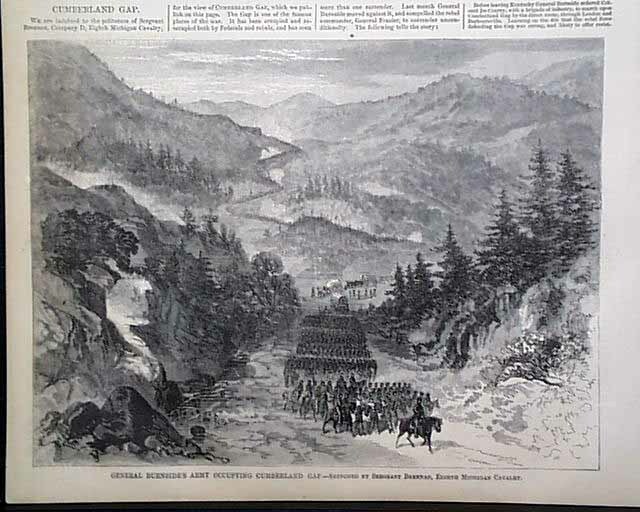 The back page has a cartoon: "Wanted--An Oedipus". 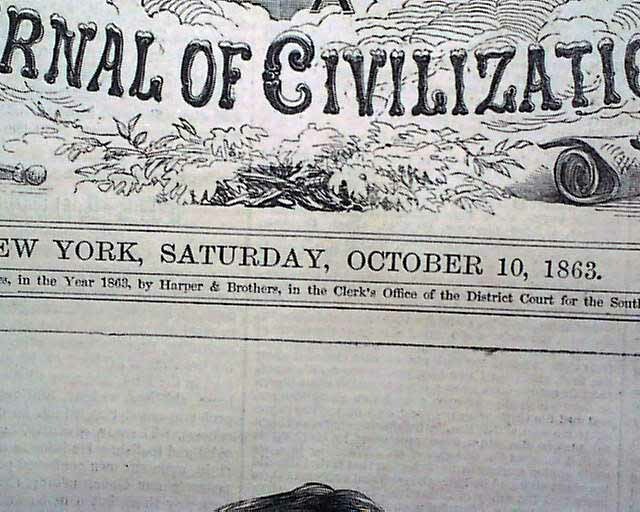 There is much text on the Civil War events as well. 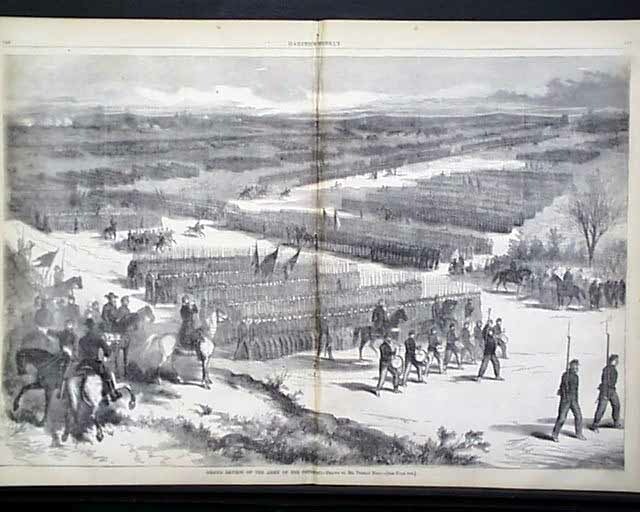 Complete in 16 pages.